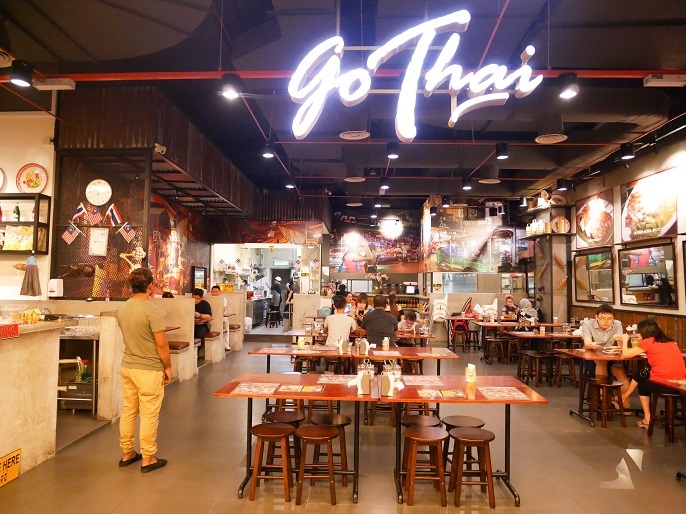 Go Thai has been around more than 3 years, with 2 different outlets. 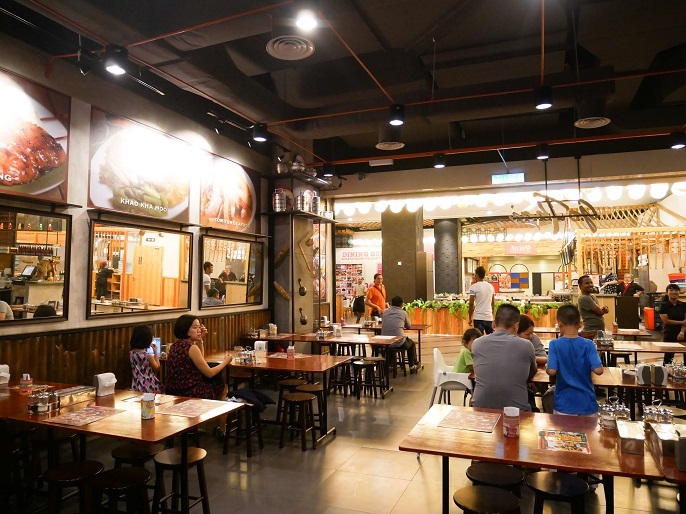 One of the outlet is located at Jalan SS2, and the second outlet is located inside the Atria Shopping Gallery at Damansara Jaya. 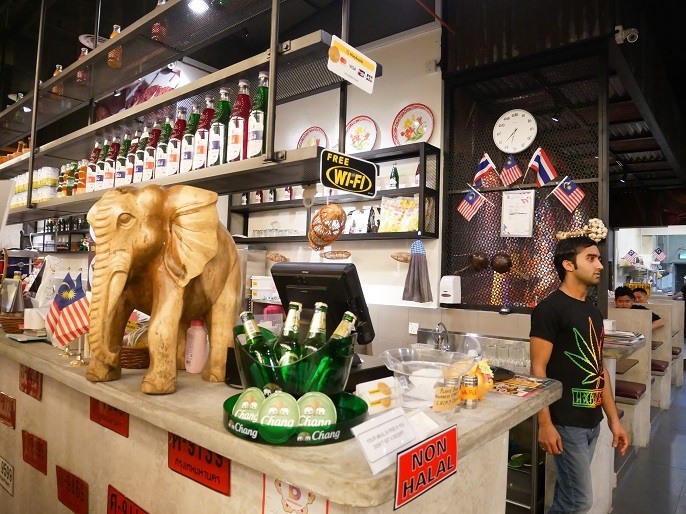 My first visit to Go Thai is the one situated at the 3rd floor inside the Atria Shopping Gallery. The restaurant is spacious with wooden tables and chairs, and also some solid double sided sofas are placed on one side of the restaurant. 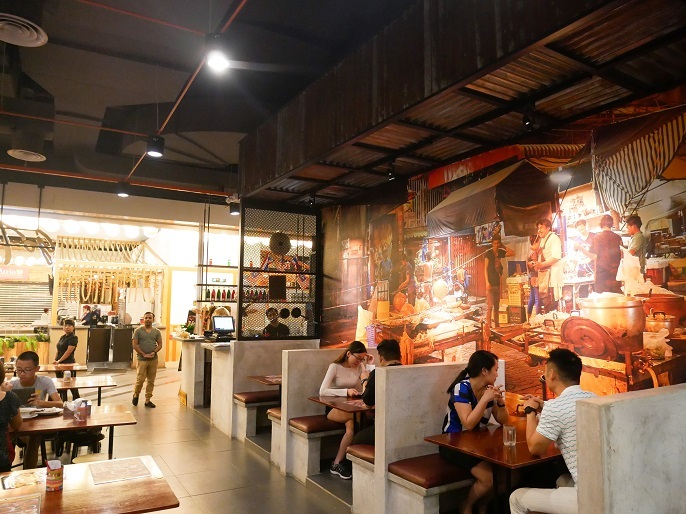 The interior has nothing much fancy about, just a low key place to get yummy Thai food without breaking the bank. 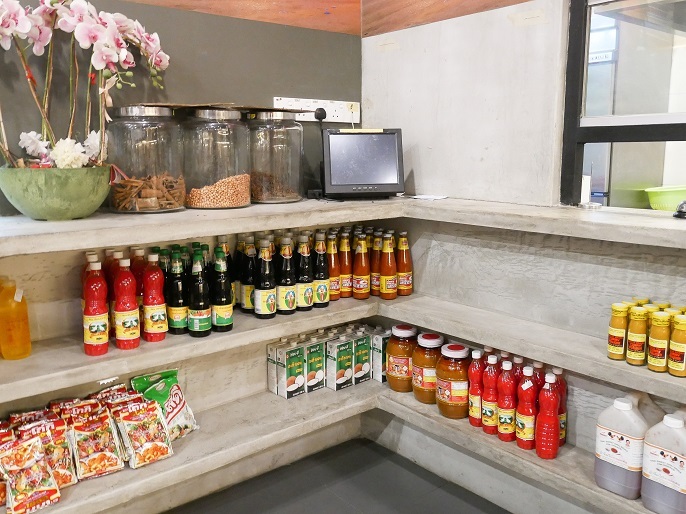 Different types of Thai sauces and pastes on the racks are available for sell. 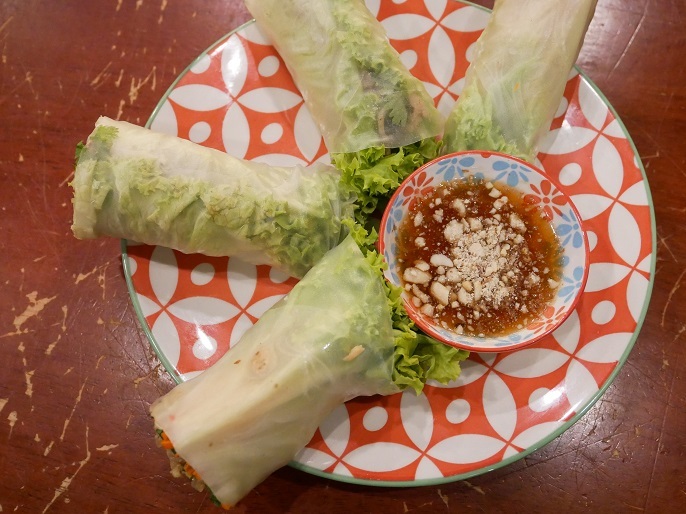 Popia Set @ RM8.90, is a fresh rice paper roll that wrapped with lots of fresh veggies, like lettuce, mint, coriander leaves etc, and dipped in sweet chili peanut sauce. Pi Gai Thod with Lemon Grass @ RM12.90 is very delicious as snacks or eating with hot rice. 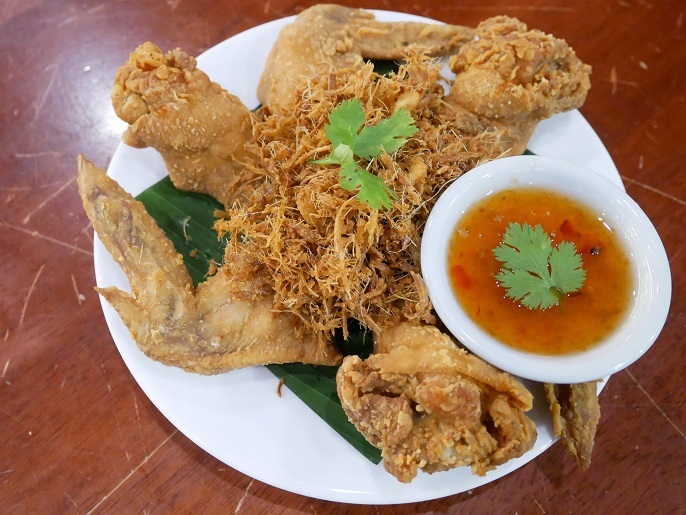 The smell of the crispy lemon grass is so good, and serves so well with the golden crispy fried chicken wings. 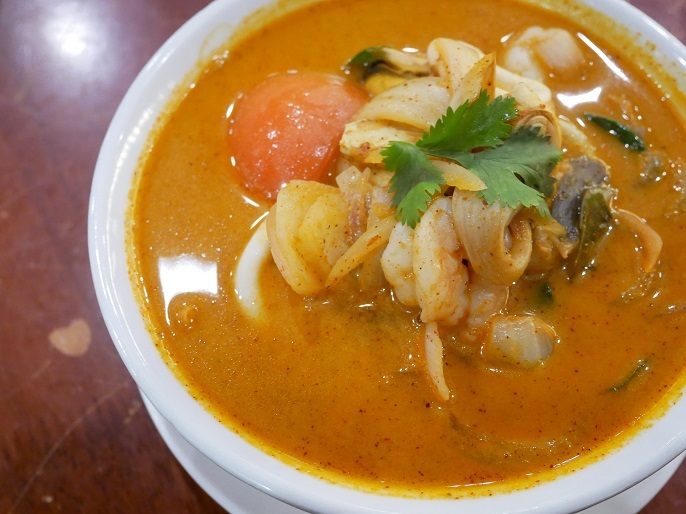 Tom Yam Seafood @ RM14.90 that comes with loads of seafood like shrimps, squids, clamps, and also some oyster mushroom, onions and tomatoes. The soup is very rich and has a slightly thick milky texture, but the spiciness of the soup is really great! Kha Moo Stew Pork Leg @ RM11.90 is my favourite Thai street food. Everytime when I visit Thailand, I must have their Khao Kha Moo (pork leg rice). 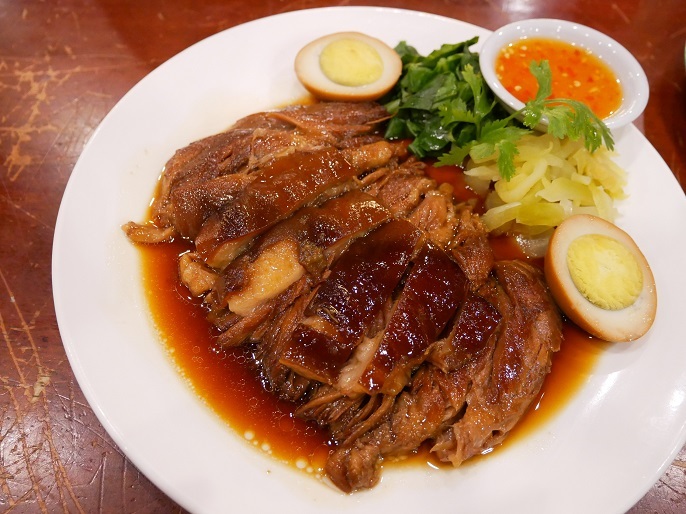 This version of Khao Kha Moo is a delicious and flavourful pork leg roast that is braised and then simmered for few hours with very sweet taste. I think the sauce is an excellent flavour, and that's the reason I like it very much. 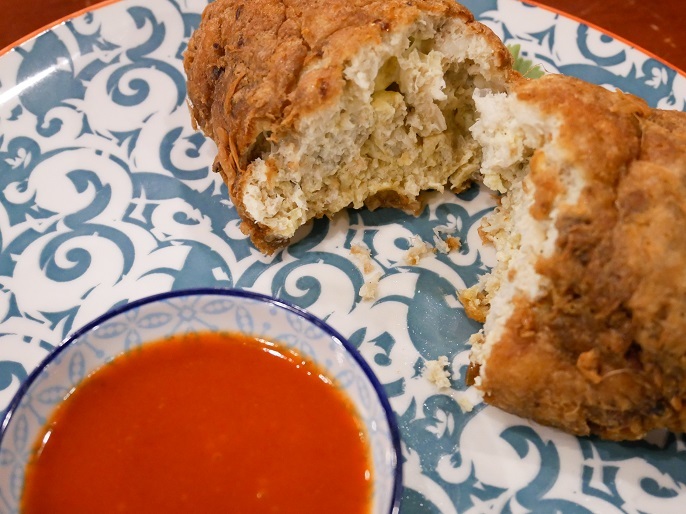 It's my first time knowing about the famous street food Kai Jeaw Poo from Thailand. I have been to Bangkok so many times, but never get to try this famous authentic street food that everyone recommended. My friend said if flying to Thailand to have it, you gonna prepare to wait at least 3-4 hours because the line is always very long. I guess I'm lucky enough that I don't need to fly to Thailand and waited for few hours just to have it because Go Thai has created their own recipe of it. Kai Jeaw Poo Michelin Star Crab Omelette @ RM24.90 (2 eggs) is a Thai omelette that stuffed with lots of crabmeats inside. It would be better if the texture can be slightly moistured a little bit as I find the overall texture is a bit too dry. 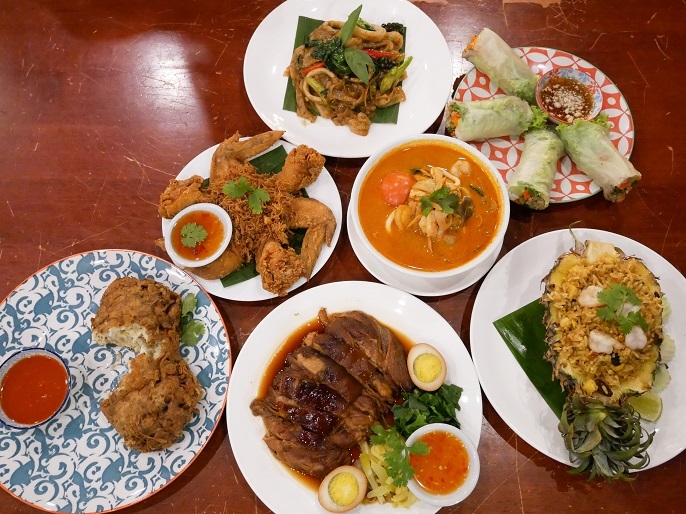 Anyway, in Bangkok, it is selling THB1000, and you only need to pay half lesser at Go Thai! 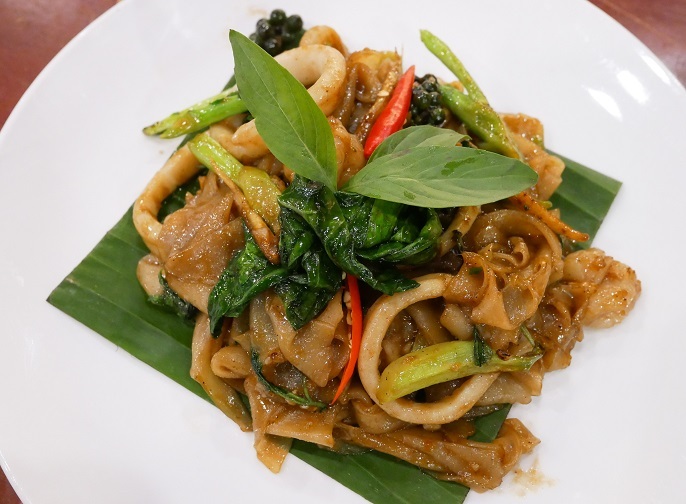 Pad Ki Mao (Drunken Noodle) @ RM14.90, is a kind of traditional Thai noodle that comes with wide rice noodles, and plenty of fresh basil. Usually the noodles are paired with the ground pork, but since Go Thai is a pork free restaurant, they serve the noodle with squids and prawns. The noodle is spicy, yet with a bit of sweet and tangy rich taste with the fresh black pepper pods. Pineapple Fried Rice @ RM12.90, a Thai style sweet and spicy pineapple fried rice with scrambled eggs. 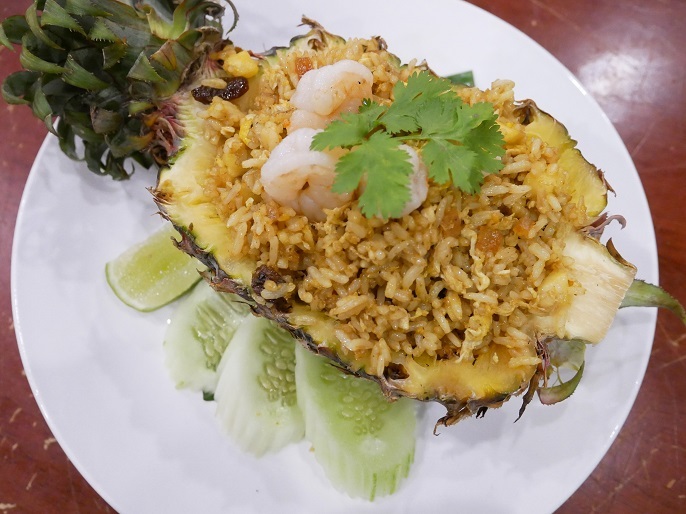 This Pineapple Fried Rice is not spicy, indeed it features a touch of sweetness from the fresh pineapple, which is seriously very tasty! Me and my girl friend enjoyed most of the food we had. We would be happy to come back to try the rest of the menu. 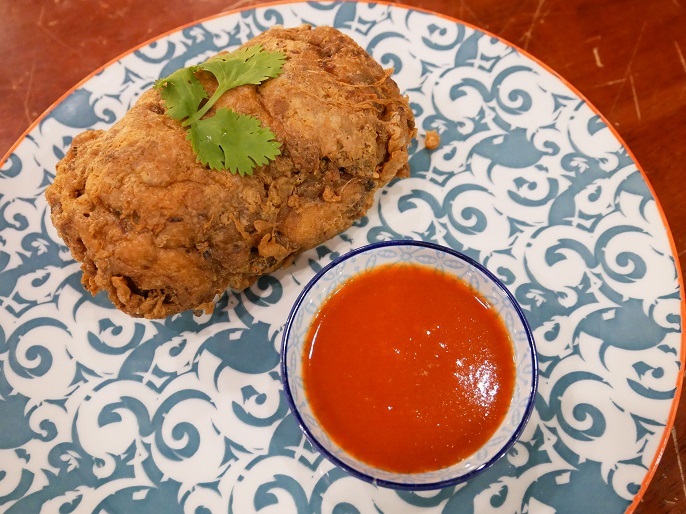 If there is one dish on their menu you have to try, it would be their signature Kai Jeaw Poo Michelin Star Crab Omelette because I think this dish is not easy to find at the other Thai restaurants. But for myself, I would really love to have the Pi Gai Thod with Lemon Grass, Kha Moo Stew Pork Leg and Pineapple Fried Rice again!